Writing has played an important part in Melissa Hernandez’s life, as she has been writing in a quiet place, since the age of five, for her enjoyment and the entertainment of her father. Hernandez enjoys taking real life experiences and turning them into fictional stories. This allows her to vent without disclosing the identities of the people around her. 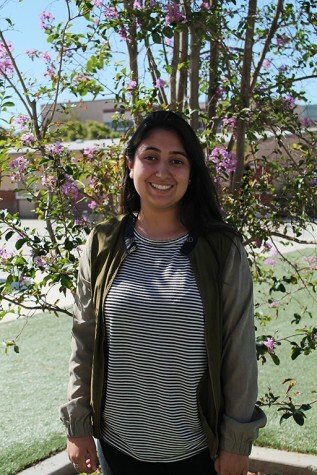 Hernandez’s friend Samantha Melgoza enjoys showing her creative side through writing. Melgoza has been writing for four years and plans to pursue a career as a writer because she believes its way to stay in touch with her childhood while being seen as a professional. “I like to write because it’s a way to show whatever imagination I have,” Melgoza said. Michelle Vilarino, another friend of Hernandez, has been writing for five years as a hobby. She does not plan on perusing a career in writing but does plan to keep it as a hobby or a possible side job. Hernandez only writes as a past time and does not plan to become a full time fiction writer in the future. She does however want to pursue a career in journalism.